This microwavable steriliser is perfectly suited to fit Dr. Brown's baby bottles and accessories. 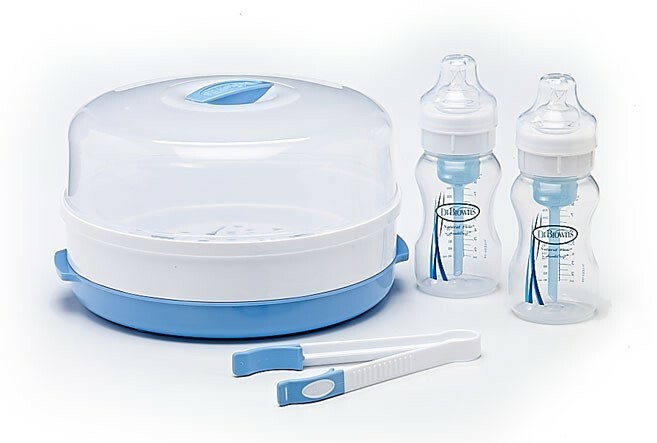 It sterilises Dr Brown's Natural Flow bottles and accessories effectively killing all household bacteria ensuring your baby is only feeding from bottles that are germ-free. The steam heat effectively kills all household bacteria. 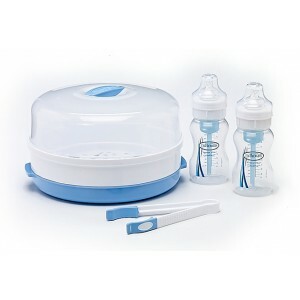 The steriliser fits up to 4 standard or 4 wide-neck Dr. Brown's baby bottles. Its custom moulded tray holds 4 Dr Brown's Natural flow bottles and components. Dimensions - diameter 30cm, height 18cm.